but in the meantime I'm very pleased to have found it - took me ages to stitch! Road trips are always fun. How good to find your stitchery. It really is lovely. Now to finish your project before it gets mislaid again. Good morning my lovely friend,how lovely to catch up with Helen and Norrs. What a lovely place to have lunch/morning tea ,lol. What are those pink things on your table,lol i couldnt work them out. Looks like a fun day with friends. I love it when I find something I had hidden away. Such a lovely rose! Finding something you though was lost is a great bonus. Of course scones can be lunch, they be anything you want them to be. 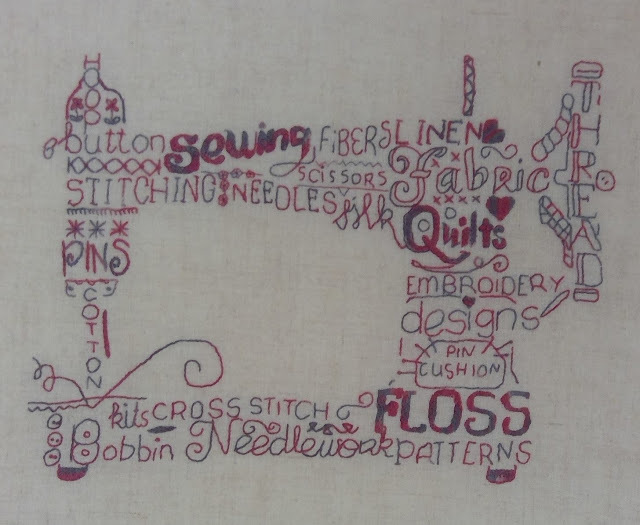 I love the sewing machine stitchery! I actually found the pattern for a similar one in with my mum's stuff. I think she'd bought it to stitch for me. It should really go near the top of my to-do list. 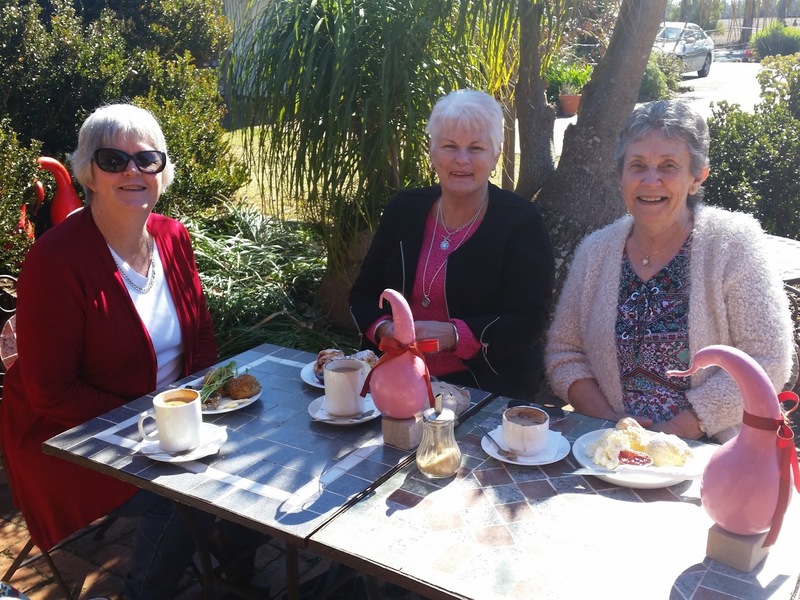 Wonderful to have a catch up with firends and lunch/brunch js a bonus. How good is that to find your stitchery, it will make a fantastic machine cover. Love the little doorways..have fun with the roses. Thought I hard a bit of noise floating down the hill. I do love that stitchery - perfect machine cover. Oh, that sewing machine stitchery is going to make an awesome cover! It’s gorgeous! Glad you had a nice day out with special friends! 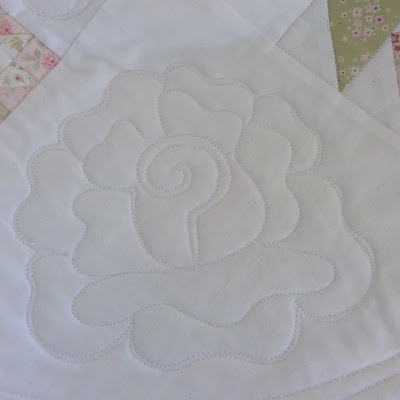 Umm, that quilted Rose is nothing short of perfect! So fun to meet up with friends, makes for a great week. Love your rose. Catching up with friends is great. It is amazing what you find in a clean up. Enjoy. The small world blocks are lovely. It’s always great catching up with friends. 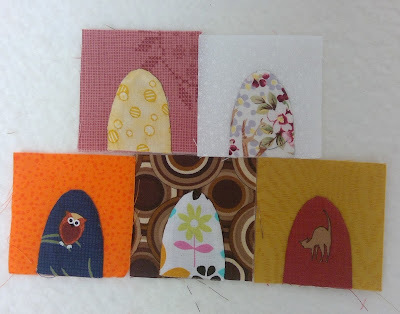 Great to have found that gorgeous stitchery and perfect for a sewing machine cover. 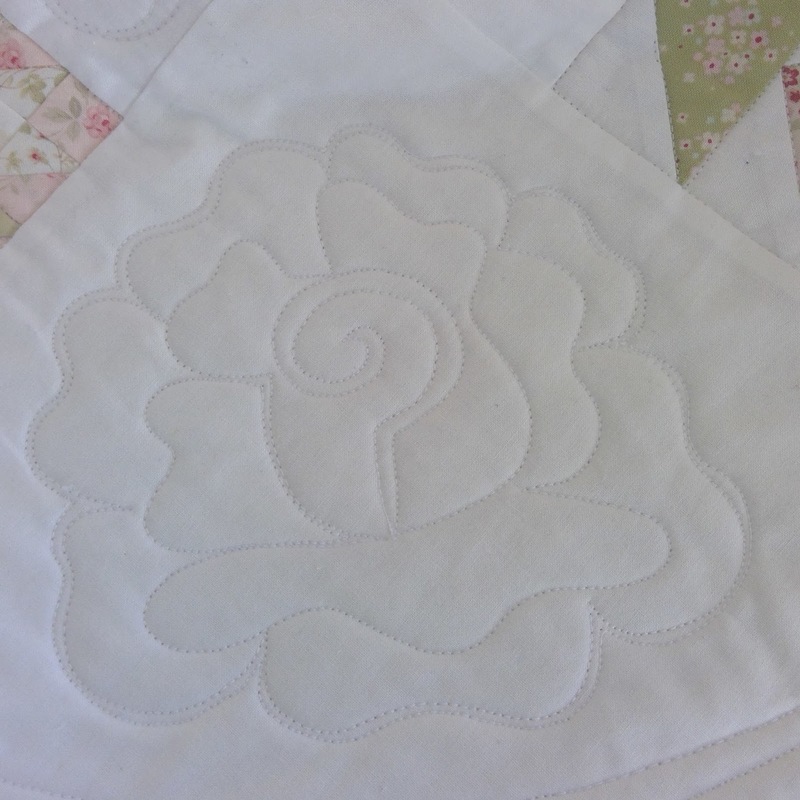 Beautiful roses you are quilting.